Wouldn’t you agree that it is easy to fall into the flow of life’s responsibilities and get distracted from living with purpose? 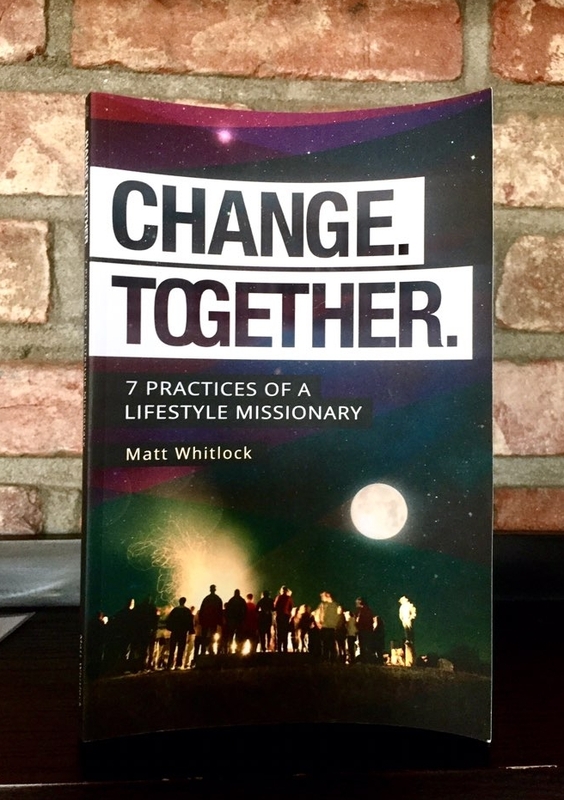 Anytime I have prepared to step into a new season of life in Asia or back in the States in the last decade, I always envisioned just how missional I would be living but then find it a challenge to maintain the same approach after getting into the grind. Essentially, to live missionally is to embody the heart of God’s mission to make disciples of all nations that all have been given by God, wherever they go. I think there is always a new energy about us when we step into a place we believe God has called us to. However, although our spirit is willing, our flesh is weak. We need daily reminders and times to realign our minds and hearts on what God has called us for. In other words, we need to work towards living with purpose, on purpose. There’s no doubt that this is closely, if not the most, connected to our time spent with God. We cannot only rely on the busyness of our job responsibilities that may include vital ministry elements to guide our missional living, but it must always come from a personal and habitual interaction with the Living God. Scripture reading, prayer, and conversations about Kingdom work are essential in building a ministry, but we need to actually take a step back and think about why and to what God has called us as individuals to in the first place. After all, He cares about the health of our heart before He cares about what our hands and feet are doing. Many people think that being a “missionary” is only for those who move to another country, and therefore are not truly held responsible for the missional life. Whether living in the U.S. or abroad, I have always been challenged the same to consider the people that are within the circles of relationships in my life and evaluate how well I am showing them God’s love. From the middle school student I see every Sunday morning to the guy on my basketball team or from the field worker on the other side of an email to the man that also brings his child to the playground in our neighborhood, I am being sent as a representative of light on behalf of the good news. If you’ll make the time to generate space for His direction, God will show you who you are, how He’s made you, and guide you in fulfilling your purpose wherever you are. Also, although it may seem strange at first, take some time to write down the people that you come into contact with on a regular basis, from the most personal to the most casual of interactions. Finally, ask God for wisdom and boldness to lead you in these interactions as you walk in your missional life. Then, I believe you will see the steps clearer that God has laid out for you to live a truly missional life, no matter where you are. In the past year, Footstool has expanded its network and partnerships with ministries in Japan. We sat down with John Mehn, longtime church planter and author of Multiplying Churches in Japanese Soil (2017), to learn about missions in Japan. How long have you been in Japan and what kind of ministry have you been involved with? Hi, I’m John Mehn and I work with Converge--formerly known as the Baptist General Conference. 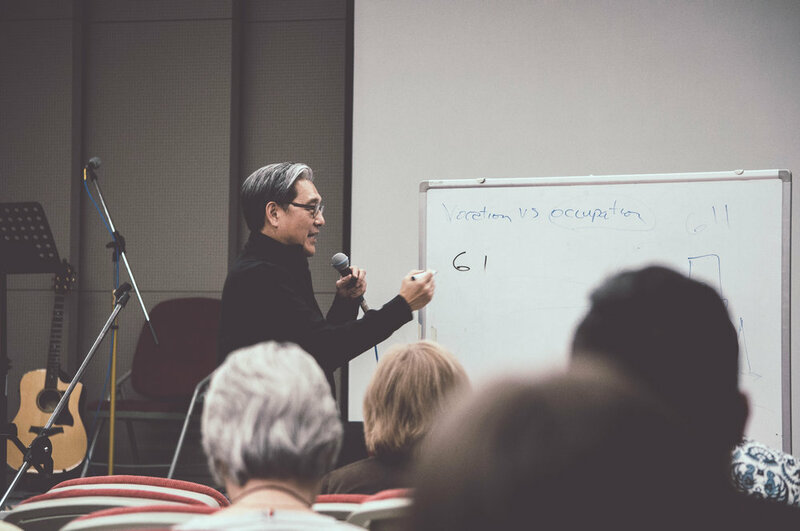 I have lived in Japan since 1985 and been involved in church planting, leadership development, and directing the Japanese Church Planting Institute (JCPI) for the past 20 years. You recently came out with a book--can you give us a teaser about it? The book is called, Multiplying Churches in Japanese Soil. Japan is very unreached in that it has the second largest people group in the world but there are only a few churches in the country. Basically, this book includes a lot of that information in an updated form to see what’s working in Japan and what’s not to reach the lost. Through this book, I am hoping to provide a lot of practical help for the pastors and missionaries working in Japan. What are the greatest challenges for the church in Japan today? One of the biggest challenges for the Japanese church is to become more "missional" and to have a vision for planting churches. Right now we are going through a large upheaval in the church where many of the pastors are over 70 years old and are retiring or dying and are not being replaced. Much of the focus of the church is just to survive--yet we have hundreds of communities that do not have a church. In all, we currently have 24 cities that still don’t have a church so we need to plant more to reach the 99 percent that are not believers in this country. 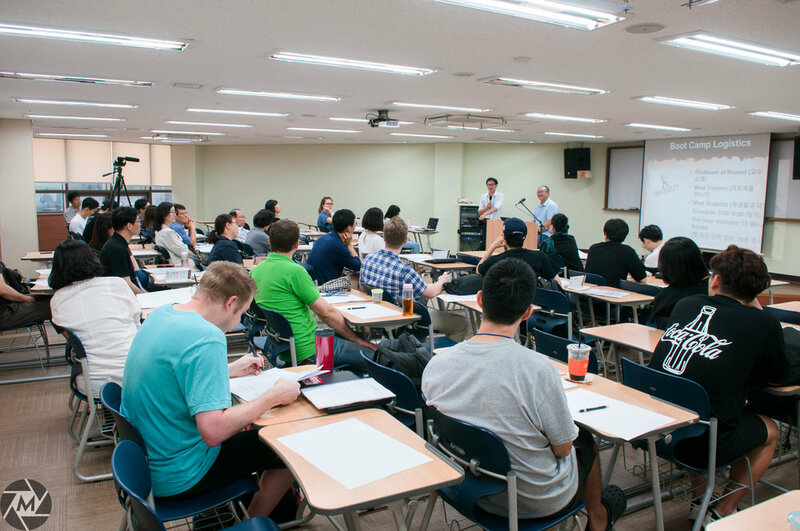 What do you envision for the next generation of church planters in Japan? It’s hard to predict what my young colleagues will be doing in the next several years, but I think we will see a lot of innovation. Up until now, there was really only one way to plant a church. In the book, I outline six ways that are effective in not only planting churches but also in them reproducing themselves. I think we will see dozens, if not hundreds, of different ways to make the church relevant to Japanese culture and to plant it in Japanese soil. I would love to see that--it would be so cool. Can you tell us a little about your story and what first drew you to Japan? I came to Christ right after high school and was involved in student ministry. I then felt the call to missions after about a year of being a new Christian. Originally, I wanted to go on a medical mission but I felt like God was saying, “I want you to be involved in church planting.” My focus turned immediately to Asia because 60% percent of the world lives in Asia. When we came back from an internship in the Philippines, my wife and I heard from God that He wanted us to serve in Japan. That was in 1981 and we have followed that as best as we could since. How can the global church be praying for Japan? There is a whole section in my book about praying for spiritual breakthrough in Japan. We have seen other countries open up because of the prayer. In 1970, there were very few Christians and now there are more and more Muslims coming to Christ than any other time in the history of the church. Fifteen to twenty years ago, Mongolia had only 4 Christians, but now they have a goal to be 8% Christian in their nation. As far as Japan goes, we believe that there is spiritual oppression and spiritual warfare involved in this place and I covet anyone’s prayer for the nation of Japan--that God would have mercy and open hearts. What word of encouragement would you give those who have a heart to serve in Japan? You are coming to a place where you are really needed. JCPI has a lot of help here for you. We have a conference you can come to every two years, plus a lot of other training that we do throughout the year. I would really encourage you to lock arms with others and their networks to be able to be more effective for ministry. There are a lot of resources out there that a lot of people are unaware of. There are a lot of very encouraging stories about the church that many people are not hearing as we often only hear the bad stories. There are a lot of good stories out there and you should be encouraged. 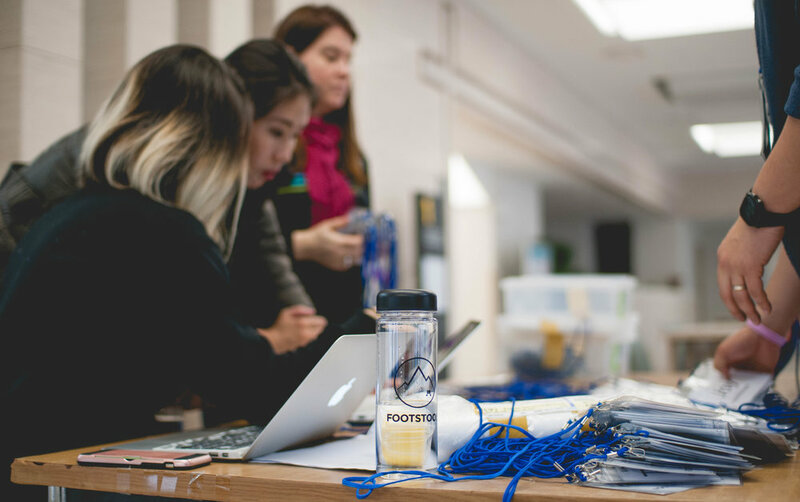 This past winter, Footstool hosted our second annual Member Care Retreat. We were able to serve a total of 42 missionary units consisting of families and singles. 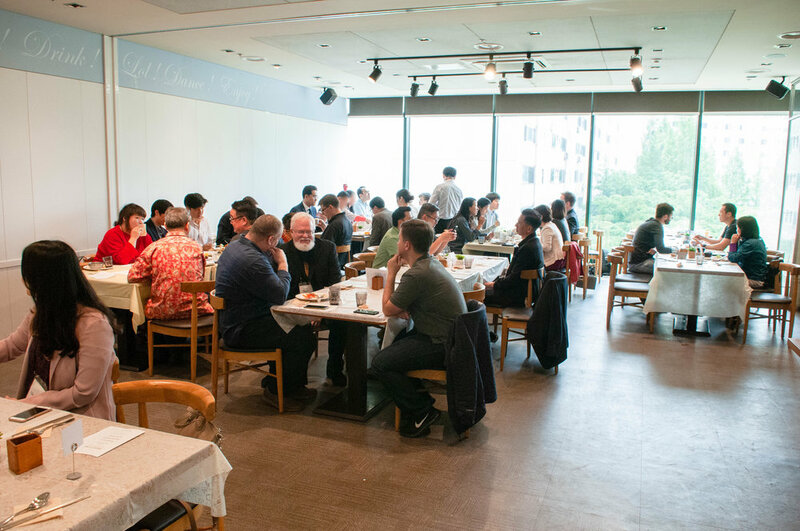 For four days and three nights, 97 individuals serving in four different countries in East Asia gathered together for a time of physical rest and spiritual rejuvenation. The retreat schedule consisted of worship and main sessions in the mornings. Attendees were given free time in the afternoon to spend with their families and friends, hold meetings that might be difficult to have on their mission field, participate in optional planned activities such as hiking and board games, and/or rest. Professional practitioners volunteered their time and services to provide massage therapy, medical consultation, counseling, pastoral prayer, haircuts, manicures, art therapy, music therapy, and family portraits. We would not have been able to do all this without the generous donations of our donors and the help of our amazing volunteers. 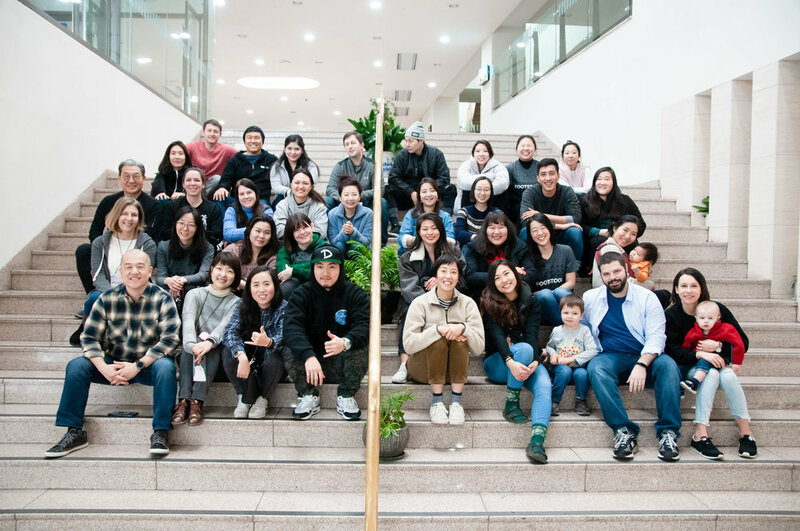 Our team of 42 volunteers helped in various ministries--hospitality, children's ministry, youth ministry, and worship team-- to make this retreat a success. The feedback from this year's attendees was overwhelmingly positive and full of gratitude. There is a clear need for member care in the mission field! We at Footstool are overjoyed to be providing this much-needed time of refreshment and encouragement to the missionaries who attend. If you know someone serving in long-term missions in Asia who could benefit from this retreat, please feel free to contact us: admin@footstool.org. 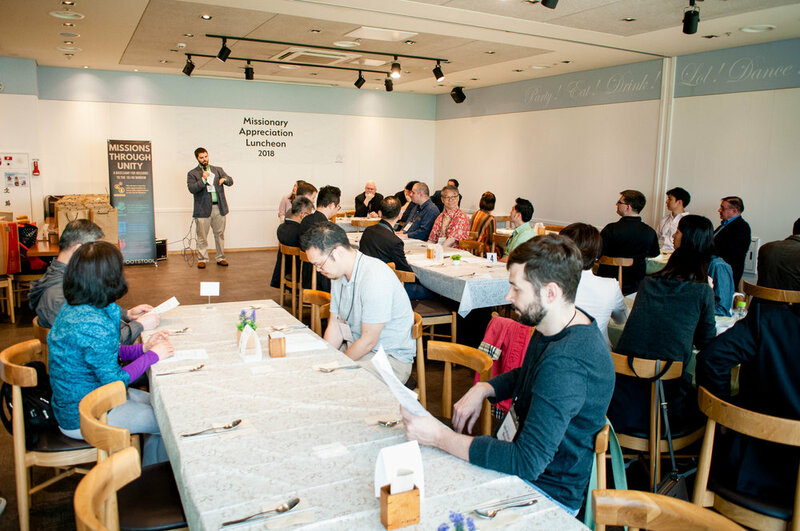 The 3rd annual Missionary Appreciation Luncheon was hosted by Footstool to honor ministers, missionaries, and lay people that have committed their time to serve in Seoul, South Korea. The event was a great opportunity for all 54 attendees to connect, network, and build relationships that can lead to greater Kingdom work and unity in the body of Christ. I was born in Korea but at the age of 2½ my brother and I were adopted to the States. I went through this art therapy program, which had a very profound personal impact, that brought a lot of healing from my past and early trauma. I had a dream that I wanted to come back to my orphanage...that I used to live in before I was adopted. I always had a curiosity about Korean culture and my roots, so in 2007 I decided to come out here. How would you describe your time in full-time ministry? There have definitely been some ups and downs, some challenges... but I feel it’s definitely brought me closer to Christ. It’s taught me to be more dependent on Him and I really have to seek daily what He wants me to do and be more connected to Him. What do you envision for the kids that you work with? I was adopted to an American family in the States, and I experienced the comfort and security of a home. I feel like the kids get support in the orphanage while they grow up, but once they graduate high school, there is very little support for them. I really hope this home can provide a safe place for them to know that they always have somewhere to come back to, celebrate holidays, have a place to hang out, and have dinner. I want this home to be a place where they can always come back to if they are in trouble or in a bind so that they know they always have a home. What is the meaning of the name of the ministry? Hesed Home has a very significant and personal meaning. When I was brought back to God I could just really feel His love. Hesed love is that unfailing covenant steadfast love of the Lord. And I really pray that these kids can really taste and experience a love that is deeper than anything that they know or anything that they have experienced. That they really can feel and know their Father's love. How would you define 'mission' and how can people be involved? I have heard it said that [mission is] finding out what is on God's heart and joining what He is doing. If I were to take that a step further, I would describe it as finding those areas and places that we are gifted and using those things that God has given us to help a group of people or person that could just benefit from something that you have. When I am painting, cooking, or doing something really creative, I feel God’s heart and I have found that now I can use it to really be able to spend time with these kids and build relationship with them. Sharing life with them just doing what I love and in that showing love to them and just spending time together. What is the 'orphan spirit'? I feel like it’s for any of us that don’t feel our Father's love and don’t know our true identity in Christ. I think for me and for true orphans that didn’t have parents to speak those affirmations and identities to us, we grow up with fear of rejection, abandonment, lack of trust; we can’t trust people and it's hard to build relationships. Not being able to receive love is very difficult. I know that I went through it myself. Are there any stories of transformation that you have experienced with the kids? I really sense the orphan spirit at the orphanage where I volunteer, there was one girl in particular who was very withdrawn. She never really smiled and never really acknowledged me. Over time as I kept going there, I would show her extra attention. I would always make a point to say, "Hi!" to her, smile, and show her extra love. It took years, but over time I could sense that she would come out sometimes to see what I was doing. One summer in particular, as I was going to go back to the States for a couple of weeks, I said, "Bye" and, "See you next time!" --she would never respond--but this particular time I got a reaction from her. I got a response, and she said “See you next time,” and waved. I felt like that was a real breakthrough with her, that she would even acknowledge me and talk to me. I felt that I really reached that level of trust with her, that she really believed that she would see me next time. I would like to ask for prayer that the kids would really be covered in their Father's love. That they don’t believe the lies that they are not loved, that they really know their place in the Kingdom. Jesus says that the least of these are the greatest in the Kingdom, and I pray that these kids know that and that they have a place in God’s heart. Even if they experience discrimination and stigmas in this life, that they know their true place and their identity in God’s home. I just really pray that this home is a taste for them of their mansion waiting for them in heaven, that they really know that they are the most special in God's heart and most valuable. Where would you direct anyone to get involved here in Korea? You can find my project page on the Footstool website and I can post my email and other contact info on there as well. What are Footstool Fridays? This fall, Footstool launched Footstool Fridays as events open to the public on the last Friday of each month. In our fall series titled "Walking Justly," each event highlighted the extraordinary stories of ordinary people taking action for justice and allowed attendees to engage with key justice issues. Our first event in October featured a film screening of Blood Brother. The film documents the story of Rocky Braat, a young American, who met a group of children at an HIV orphanage while traveling across India. Finding he could not help the children out of their current situation, Rocky did the only thing he knew he could do: he left everything behind in the U.S. and moved to India to work in the orphanage. Through the film, we were able to get a glimpse of the suffering and pain the children face, but we also saw Rocky’s heart for the children and how he is able to love them unconditionally. Blood Brother is a very emotional film that captures how an ordinary person can be moved to action and love even in the midst of profound suffering. We had the pleasure of hosting Rocky for a Q&A session after the screening of the film to hear more details about his work, ministry, and life in India. If you are interested in giving to Rocky's ministry, please click HERE. 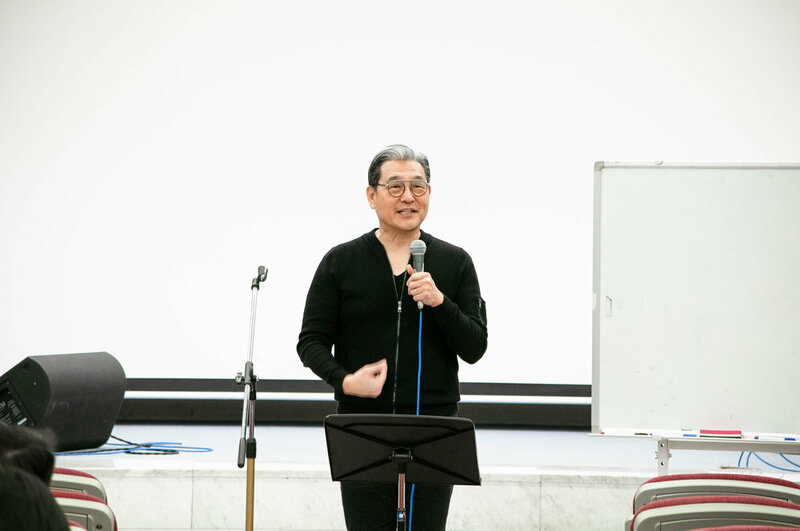 For our second event, we invited Pastor Yoo Dae Yeol from Hanaro Church to share his testimony. Pastor Yoo shared his amazing personal story of coming to faith in Christ and his church’s ministry to marginalized groups here in Seoul. 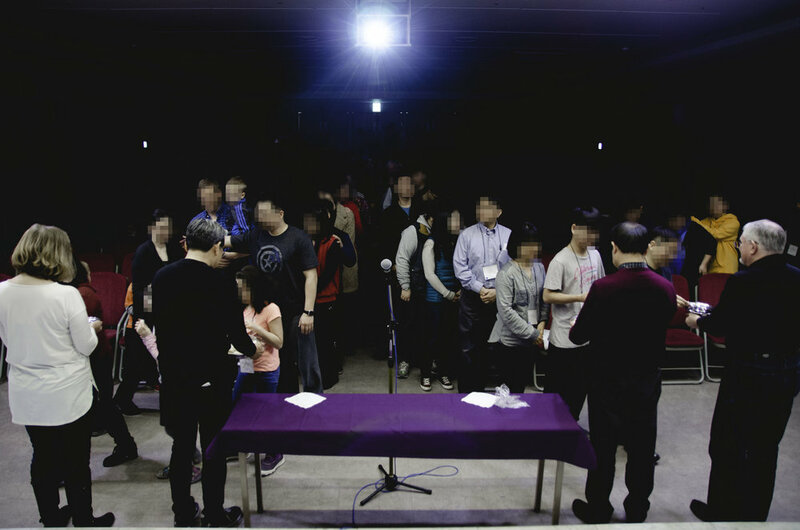 Pastor Yoo also held a time for Q&A, and the event concluded with the entire audience gathering around to pray for Pastor Yoo and his ministry. We concluded our fall series by hosting a screening of the film The Drop Box. Inspired by his love for his own disabled son, Pastor Lee and his wife began taking in disabled children, whose parents could not raise them. Orphaned babies began to arrive at his doorstep. One day, after finding an abandoned baby in a cardboard box outside his door, he was horrified by the idea of what could have happened if he had not discovered the child sooner in the freezing cold. Thus, in 2009, Pastor Lee built a "baby box" on the side of his house, and he has been taking in unwanted babies ever since. We invited Pastor Lee and his wife to share about their ministry firsthand. As Pastor Lee spoke, this humble and faithful man of God emanated pure love. His lifelong devotion and sacrifice have demonstrated so clearly that every human life is precious and valued in God's eyes. Thanks for joining us for our Footstool Friday events this fall! With your help, we were able to raise a total of 3.8 million KRW to help the ministries we featured. We are excited to bring you more great events in the future, and we look forward to seeing you again in the spring of 2017! Do you have any ideas for upcoming Footstool Fridays? We would love to hear from you. Contact us as admin@footstool.org. 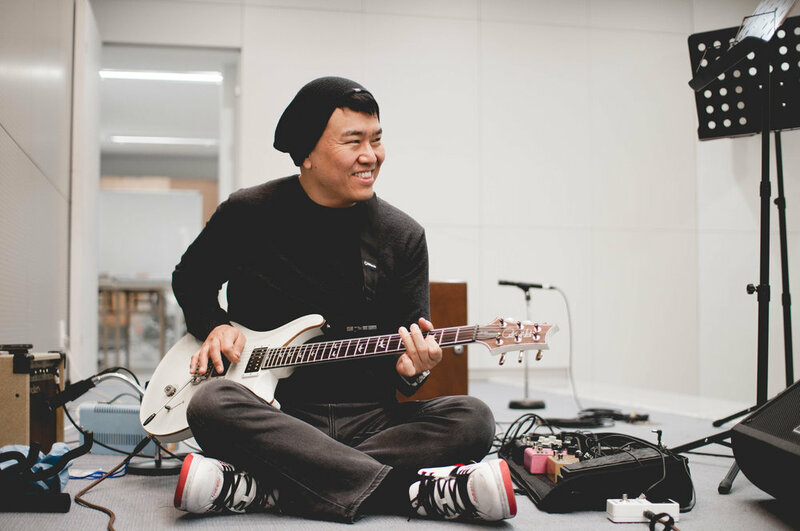 An alarm blaring in the middle of the night might drive some to anger, but for Pastor Jong-rak Lee it is the sound that prompts him to love. In the winter of 2009 Pastor Lee decided to build the Baby Box on the side of his house after the startling discovery of a baby in a cardboard box, abandoned on his doorstep on a freezing cold night. Giving birth to a child outside of marriage as well as raising a child as a single mother are social stigmas in Korean culture that unfortunately have drastic effects the lives of the parent as well as the child. Some families have been know to go as far as to sever ties with the mother and child. Single mothers have a harder time marrying and they face adversity when looking for and retaining employment, some have been pressured into quitting by their co-workers. Because of this, some see the baby box as an alternative to terminating the pregnancy. Pastor Lee believes there was a significant increase of babies dropped off after a new adoption policy went into effect in 2012 that requires all newborns to be registered in an official registry. Before the policy, Pastor Lee claims to have received about two babies per month, and after the policy that number gradually increased to about 19 per month. From December 2009 through August 2016, the baby box has received about 1,000 babies. When babies are dropped off in the baby box they stay in Pastor Lee's home for up to four days and then they are transferred to a local hospital for medical check-ups and foster care facilities. Because of health reasons, mostly those with physical or mental disabilities, some of the babies end up staying at Pastor Lee's church. We will be hosting a screening of the film “The Drop Box” as well as a Q&A session with Pastor Lee. This event will be taking place on Friday the 25th of November at Jubilee Church, from 7:00pm to 9:00pm. 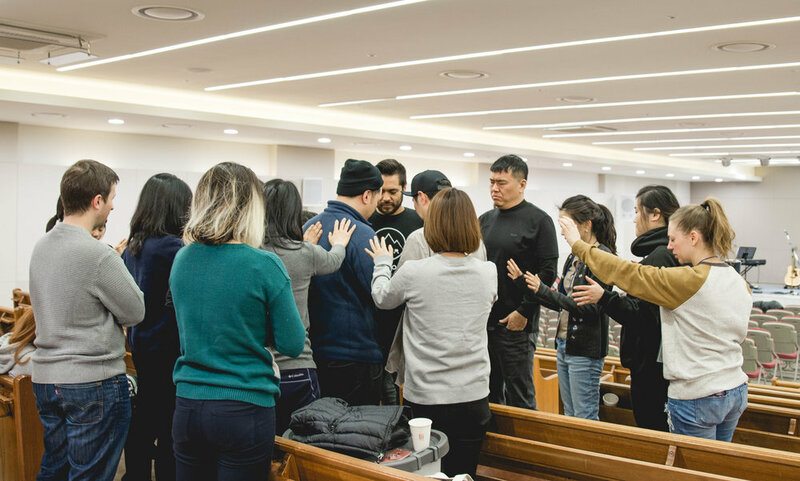 There is a 20,000 KRW suggested donation that will go directly to Pastor Lee and his ministry. On Saturday, November 12th from 10am to 4pm, the first ever foster care and orphan care conference will take place in South Korea. The conference will have speakers from Mission to Promote Adoption of Kids (MPAK), Hope for Orphans, Holt Children's Services, and other leaders in the field of orphan and foster care through out Korea. They will be explaining the challenges of orphan care in Korean culture and will raise awareness of the orphan crisis in South Korea. Attendees will also have a chance to hear testimonies from adopted children and updates on adoption laws. 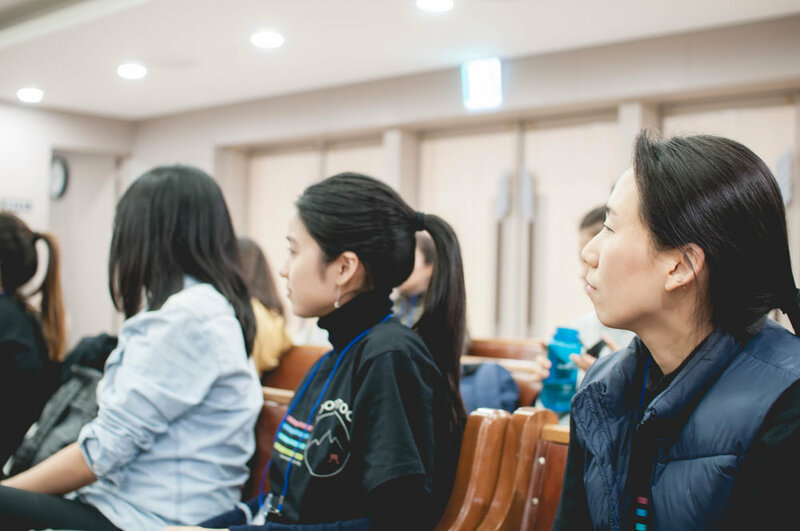 This conference will provide practical ways that churches can care for orphans, present other options aside from adoption as means of orphan care, and to really challenge churches in Korea to be active in caring for orphans. Pastor Eddie Byun will be one of the guest speakers at the conference. We asked him a few questions about the challenges that have made this a growing issues. Have there been major issues that made people realize the need for more awareness and intervention in the foster care/adoption system? 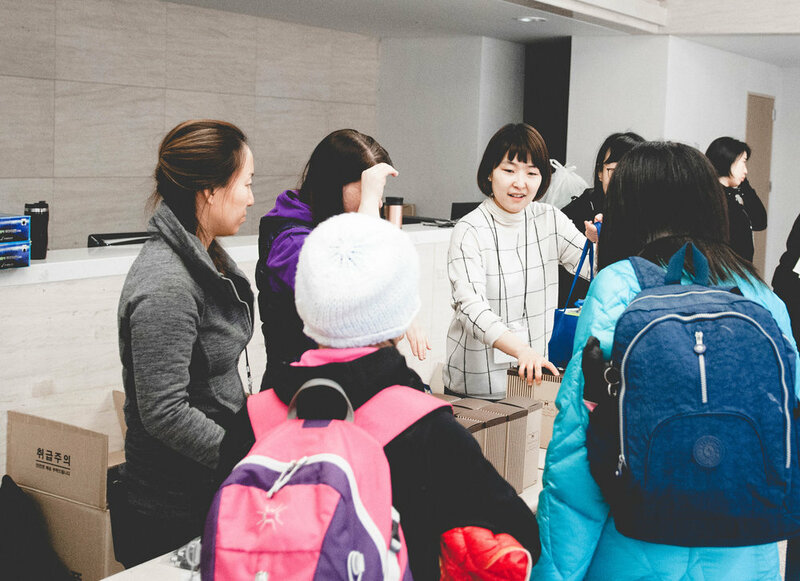 Current laws and quotas placed on inter-country adoption is making it more urgent for Koreans and expats in Korea to become more actively engaged in caring for orphans in Korea. There are more opportunities for residents in Korea to be care-givers and those families who do give care from Korea (even expats), because even the adoptions by expats who reside in Korea will not be counted against the quota for inter-country adoptions, providing more opportunities for these children to gain families. What have been the biggest challenges in reforming these (adoption/foster care) systems? There are many challenges. Korean cultural hurdles against adoption, the importance of bloodline in Korean culture, churches not seeing the role of orphan care as a gospel issue. These are just a few of the challenges I've come across over the years. How have things changed in the past decade? Not enough has changed, which is why I felt the need to begin this type of conference to educate and mobilize the church to be caregivers for the orphans of Korea. For more information, tickets, location and directions please click here. 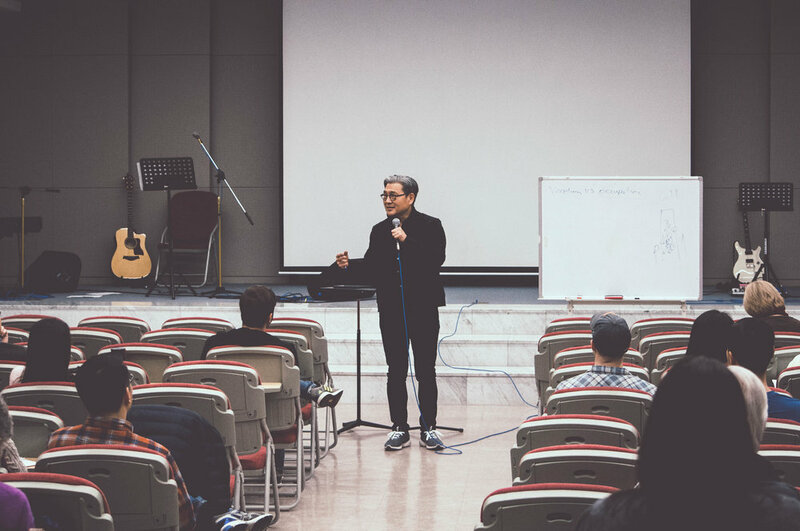 On Friday October 28th, from 7pm to 9pm we will be hosting our second Footstool Friday with guest speaker Pastor Yoo Dae Yeol at CityLight Seoul. 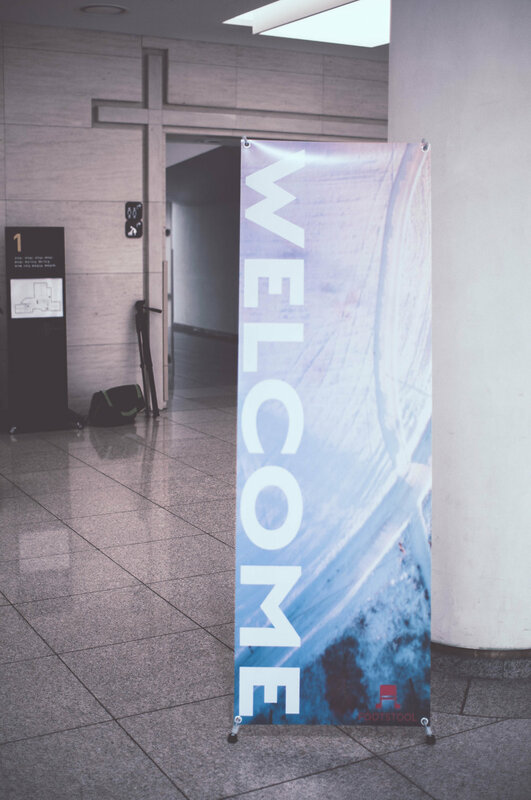 Pastor Yoo will share his amazing testimony and answer questions about his life "inside," how he encountered God on his journey to a new life in South Korea, and his vibrant ministry here in Seoul. This event is the second installment of our Footstool Fridays series, "Walking Justly." The goal of Footstool Fridays is to give exposure to various ministries serving in the 10/40 window and provide a platform for sharing how they are making a tangible impact in their communities. Through this fall series we aim to raise awareness about current social justice issues and highlight inspiring, personal testimonies of those who are on the front lines of justice ministry. Suggested donations of 20,000 KRW will go toward financially supporting the organizations that we feature. Footstool Fridays are on the last Friday of the month, during the fall and the spring. Our last two events will take place at City Light Seoul. Click the link below for directions. On October 4th-7th, Footstool Mission Center will be hosting a Church Planting Essentials training for anyone that has any interest in church planting. The training will be lead by Dynamic Church Planting International (DCPI), an organization born out of the desire to see church planters thrive in fulfilling their God-given calling. The DCPI vision is to equip leaders to plant five million dynamic churches to reach the world for Christ. Dr. Paul Becker, Founder and President of DCPI, cast this vision in 2010. Since then, they have spread their vision to over 110 countries and have trained over 118,000 church planting leaders. DCPI teaches THE BOSS PRINCIPLE: Christ is the Lord of church planting and He has a vision for the new church plant. 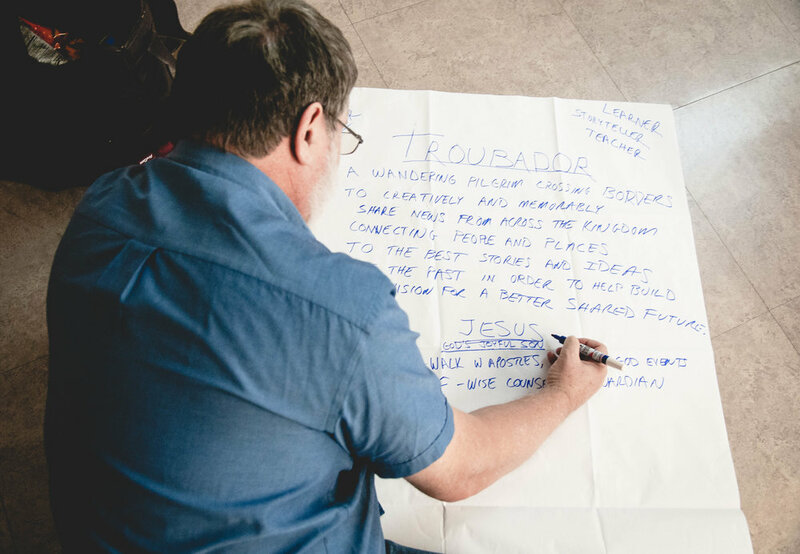 This is based on Ephesians 1:22-23: “And God placed all things under his feet and appointed him to be head over everything for the church, which is his body, the fullness of him who fills everything in every way.” Along with their strategy of establishing national partnerships, training and equip leaders, planting reproducing leaders, and multiplying the movement, only .01% of churches planted with the DCPI methodology fail (according to a study by The Barna Group). With such a high emphasis on multiplication, DCPI seeks to plant +323,000 churches in the next five years. “The single most effective evangelistic methodology under heaven is planting new churches,” Peter Wagner, former professor of Church Growth at Fuller Theological Seminary. Church planting is a strategic way to attract unchurched people, as new church plants tend to focus more on outreach and are more sensitive to issues outside their four walls. This provides an opportunity to disciple new believers and reach different demographics of people by strategically positioning ministries that serve the community in fresh and effective ways. Church planting also provides an opportunity for the church to bring reconciliation and healing to a hurting community. Church plants are a great way to renew existing churches. Oftentimes, older congregations are reluctant to try new approaches because they have become comfortable doing things the way they have always done them. New churches have to be innovative, creative, and operate mostly in new ways. There is room to experiment, learn from mistakes, and grow together in their new community. New churches also provide an opportunity for believers to grow in leadership as new positions open up within the church. If you are interested in church planting or are considering a church plant, this training is for you!